Have you ever need to use different gmail? Well, creating new gmail accounts means creating a new Google account and we know that we need phone number in order to register a new Gmail account. Google itself is limiting the number of times a phone number can be used for registering Google Account. But one thing not everyone knows, there are actually a simple trick to have multiple gmail addresses under one gmail account. 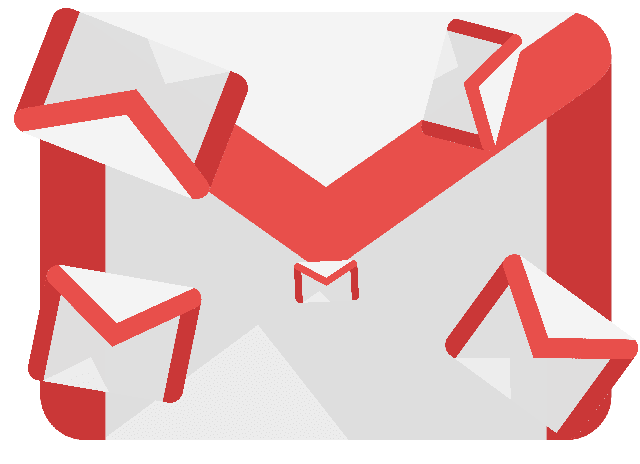 Although not everyone will need to have multiple gmail(s) for everyday needs, but the multiple gmail addresses trick could be handy and useful at many points. Example if you register for an account on a website and it is limiting features one can get in one account, then you can register a new account using the multiple gmail addresses trick so you can get another account. Or by using the multiple gmail addresses trick, we can create more account or profile on our favorite online games without the hassle to manage multiple gmail accounts. For me, this multiple gmail addresses tricks are very helpful when I building a forum website. As a new forum website, I definitely will need to create "fake members" to post there and fill the forum post and threads. By using the trick I can register dozens or even hundreds of new account at my new forum website without need to have multiple gmail account. There are three main tricks to have multiple gmail without need to open new gmail account. But by combining these tricks, we can make our one gmail account span into hundreds or even thousands of different gmail addresses possibilities. The first trick is using the alternative domain to gmail.com, it is googlemail.com. This trick is described in the official Google's documentation about gmail. Where myname@gmail.com and myname@googlemail.com are same addresses. According to the documentation, @googlemail.com is used as the primary gmail domain in some countries. So if someone sent email to myname@googlemail.com, the email will still sent normally to your true gmail address inbox at myname@gmail.com. The second trick to have multiple gmail addresses in one gmail account is also mentioned in the Google's gmail FAQ documentation, it is the blind dots usage. Once you have created a gmail account, you own all the dots version of your gmail account address. Say your gmail address is yourname@gmail.com, then all the dots between the gmail username ("yourname") will be "blind" dots for Gmail system. All emails sent to y.ourname@gmail.com, yournam.e@gmail.com, your.name@gmail.com, yo.ur.na.me@gmail.com, and other hundreds dots variations will be sent to your true gmail address at yourname@gmail.com. I didn't see this last trick described in the Gmail FAQ documentation, but this trick is working perfectly when I use it to register new member on my test forum website. The trick is we can add any additional words behind our gmail address using + suffix sign. Example your gmail address is yourmail@gmail.com, then you can add any additional characters to the address behind the username using "+" suffix so it can become like yourname+abcde@gmail.com. This last trick is pretty useful especially to track down emails and spam prevention. Example you want to register at an untrusted website "www.example.com" which you doesn't sure if the website will spamming your inbox in the future, then you can just register using yourname+examplecom@gmail.com. So if in the future you receive a spam sent to yourname+examplecom@gmail.com address in your inbox, then you know who the culprit responsible for the spam. Comments (1) in "Multiple Gmail Addresses Trick using One Gmail Account"